Why is it that no matter how many sit-ups you do, stubborn belly fat won’t budge? 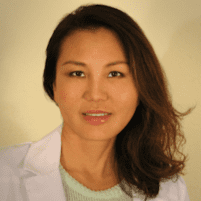 When that extra flab around your middle seems to hang on despite your best diet and exercise efforts, Amy Chow, MD, an aesthetic medicine and anti-aging specialist at Dr. Chow's Rejuvenation Practice in Lee’s Summit, Missouri, offers a solution with noninvasive CoolSculpting® body contouring treatments. CoolSculpting treatments freeze away stubborn fat, so you look and feel like your best self. To learn more about CoolSculpting or to see if you’re a candidate, call the office or request an appointment online. CoolSculpting is a nonsurgical, highly effective fat-elimination technology that freezes fat cells so your body can permanently eliminate them. This safe, FDA-cleared procedure reduces fat using a controlled cooling method. The results are long-lasting and allow you to reshape those stubborn areas of your body — like your belly — that don’t respond to diet and exercise. The science behind the CoolSculpting technology makes it possible to freeze away fat cells without damaging the surrounding tissue. It’s a precisely controlled procedure that only targets fat cells while leaving your skin unharmed. The fat cells under the surface of your skin freeze and your body naturally eliminates the dead cells over time, through your lymphatic system. The result is a slimmer, more sculpted appearance in the treated areas. Because fat cells die and your body gets rid of them, CoolSculpting results are long-lasting. Once the fat is gone, it’s gone for good! The first step in the CoolSculpting process is meeting with a member of the medical aesthetic team to see if you’re a good candidate for the treatments, and to discuss a customized plan that helps you achieve your particular fat-loss goals. You may only need one CoolSculpting treatment or a series of sessions, depending on how many areas you’re treating and the desired outcome. You may also choose to freeze away fat on an area of your body, like your abdomen, during one session and a second area, like your inner thighs, during another appointment. During a CoolSculpting treatment, your provider applies a gel pad and applicator to the targeted area of your body. The applicator delivers controlled cooling temperatures to the fat in that area, freezing it away. You may feel intense cold, stinging, or a mild pulling and tugging sensation, but it’s typically well-tolerated. The cold usually subsides within the first 10 minutes as the area becomes numb. The treatment isn’t painful and, in most cases, you can return to your daily activities immediately following a CoolSculpting procedure, with no downtime or inconvenience. Want to know if CoolSculpting can help you get rid of stubborn fat? Call the office to schedule a consultation or use the online booking system. Click HERE to watch a video explaining more about how Coolsculpting works and if it's right for you.